Do you know what’s the bad thing about cleaning companies? The bad thing is that most of them use all kinds of advertisement tricks to fool you that they are the best and that they can suit your demands when in truth they can’t. When those leave your property, you realize you’ve been scammed. The good news is that not all cleaning companies are like that. Take ours for example. We offer professional house cleaning services with a spectacular performance-price ratios in Tooting but we don’t brag about it, because we are against advertisement. We are not like the other mainstream house cleaning companies. In fact, we’re the only house cleaning company in Tooting which delivers it’s service using professional Eco-friendly cleaning products. If you are sick of being fooled, call us. At least we know how to clean. The word “devotedness’’ describes our house cleaning company perfectly. We are devoted to our clients completely and we prove it by working even on holidays. You can reach us wherever you need us. We won’t use any commercial advertising tricks to make you book our services. In fact, we use no advertisement whatsoever. We rely on our performance to do our advertisement for us, and so far we’ve got nothing but positive reviews on our services. You decide whether you want to be fooled by others, or book our honest and diligent house cleaning services. We are available in Tooting. Our cleaning tools and equipment can eliminate all dirt and bacteria from your spaces. If you choose us, you’ll forget all about the stains on your cooker and the hard water marks on your shower head. We will eliminate all dirt and bacteria from every surface in your home. 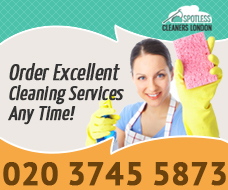 We’ll do it quickly, efficiently and using nothing but professional cleaning gear and Eco-friendly detergents. If you think that other cleaning companies are better than us – think again – we haven’t had a single negative review ever since we set up shop. 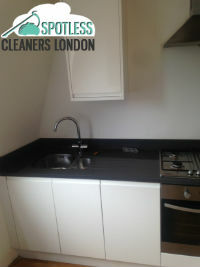 Book our professional house cleaning services, applicable in Tooting, and see for yourself how good we are.